Share a picture of your most memorable moment at Central Market with us, together with a caption of not more than 25 words. Entries should be submitted via email to anita@centralmarket.com.my or ranerl@centralmarket.com.my on or before 5pm, 17 November 2013. The size of the photo must not be smaller than 2MB. The caption can be in Bahasa Malaysia or English. 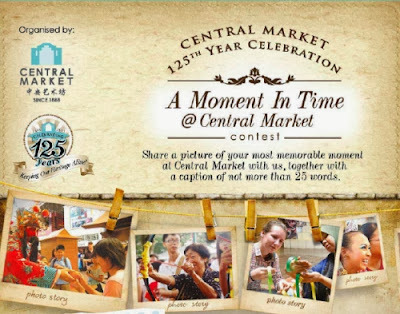 Visit Central Market contest form for more details.